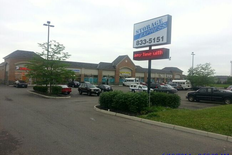 Whatever your storage needs may be, you’ll find what you’re looking for at Storage Express, which is conveniently located at 5621 Chatterton Rd near De Store, Park Trails, and the large residential neighborhoods of Crosscreek Village and Blacklick Estates. 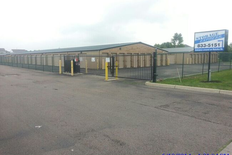 We’re just a short drive from Reynoldsburg, Pickerington, and Etna, making us a great storage destination for nearly anyone in the Columbus, OH metro. Come visit us and let us solve your storage problem! 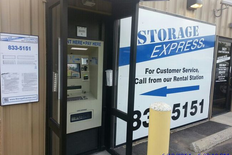 Storage Express is committed to providing you with the best storage unit to fit your individual needs. 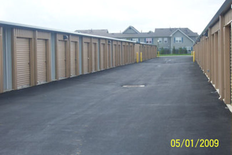 We offer a variety of unit sizes and amenities to make your project successful, and businesses, residents, and even students can benefit from our storage expertise. Hi Jannie Shaw Shaw, we're very happy to have provided you with such a positive experience. Would love to help you again when/if the time arises. Just holler - you can reach us 24/7, 365. Cdl Picker, thank you for your kind review; we are happy to pass along your comments to the team here at Storage Express! Fatoumata Diallo, thank you for your kind words! My concerns are always addressed. When I call I'm never on hold long and customer service reps stay with me on the phone until I get in the gate when I mess up my code. Lol but seriously these guys are great thus far. Sorry for the hiccup, Laura! Thanks so much for your kind and candid words. 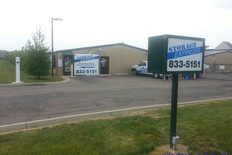 We appreciate the opportunity to help you with all your storage needs! It's was a very easy process to rent a storage space. I really like storage express. They are clean and it has 24 hour access. Hi Tyreese! Thanks for dropping us a line and for the 5-stars. We're grateful! It was fine I guess. Everything was done over the phone instead of in person which is different, but other than that, I have nothing bad to say about this place. Thanks for the opportunity to help you with all your storage needs. Please let us know if there is anything else we can do for you; we are more than happy to help!